This enamel coated cast iron mini La Cocotte has a 1/4 quart capacity for a variety of cooking applications. 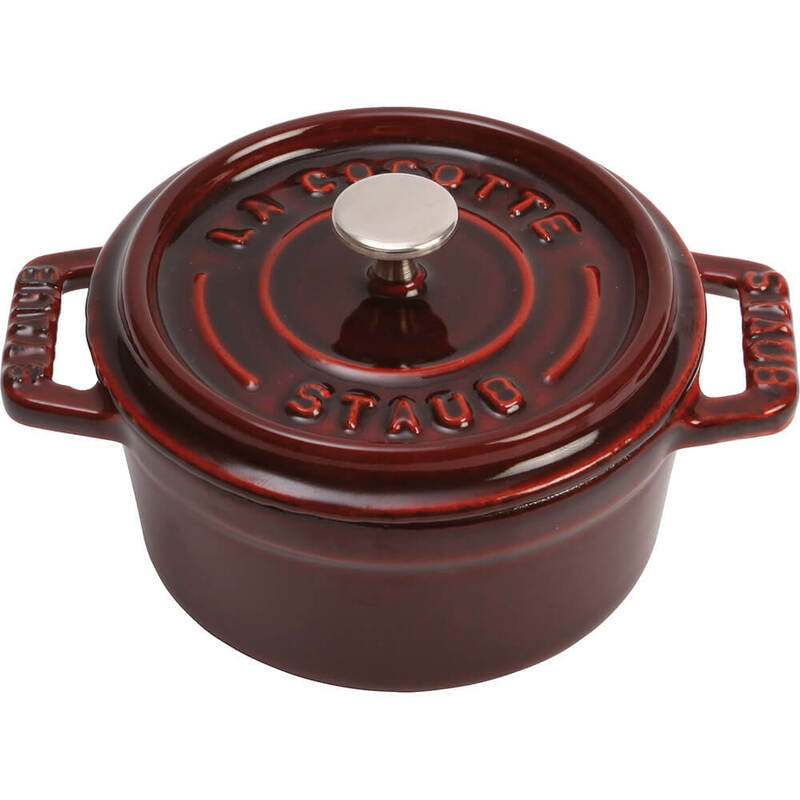 This Staub enameled cast iron mini La Cocotte is a great gift or addition for any kitchen. Easy to clean, dishwasher safe , and resists up to 500 degrees F.
Size: 5.2" X 4" X 2.5"